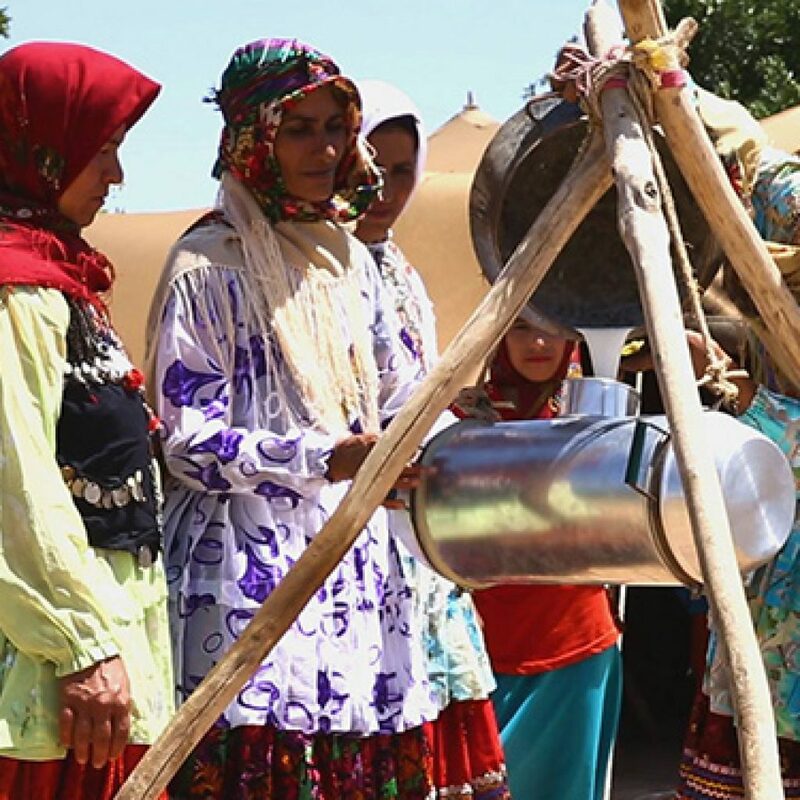 There are about one and a half million nomads in Iran, extending from the border of Turkistan to the warm waters of the Persian Gulf. Most of these tribes, the Kurds, the Lurs, the Bakhtiaris, the Guilaks (on the Caspian Coast) and the Baluchis are the original invaders who, in the first millennium BC, swept down from Central Asia and settled in various parts of the Iranian Plateau. 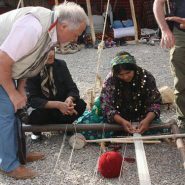 Most of the tribes in central Iran are from pure Aryan stock, while other tribes such as the Arabs of Khuzestan and Khorassan, the Turkish tribes of Quchan, the Qashqai tribes, the Shahsevan and Afshar tribes of Azerbaijan and the Turkmens are remnants of races that have passed through Iran at various periods of history. 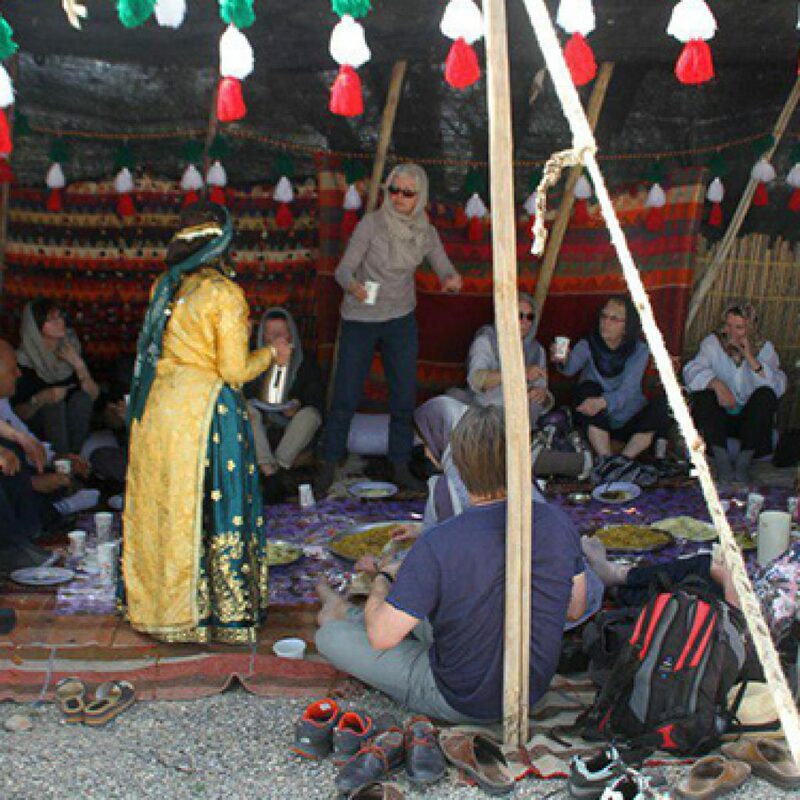 We can tailor made any packages you want for visiting nomads , season is early may till early sep but if you are not interested to have a full nomad tour we can add 1 or 2 days to your cultural package in cities like shiraz and Ardebil and isfahan to visit nomads who live near these cities . Having arrived in Iran in two waves under the Seljuks and the Mongols in 11th and 13th centuries, respectively; Afshars are pastoral nomads. 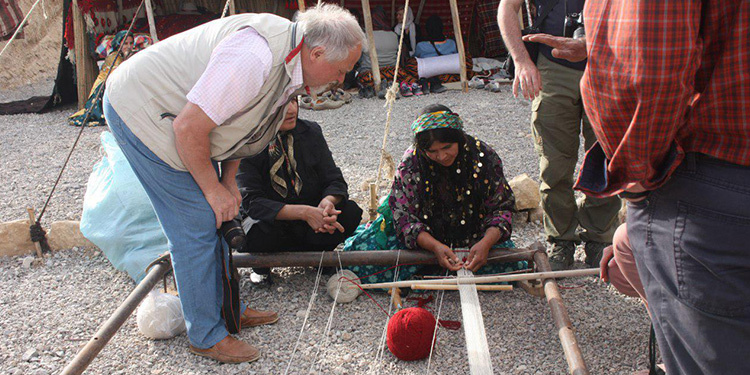 They have their summer quarters on the slopes of the Sabalan Mountain at 4860 meters (Azarbaijan), between Lake Orumieh and Qazvin and Hamadan, and their winter quarters are in the hot plains of Moghan, near the Caspian Coast. Some Afshar tribes are also scattered in areas between Kerman and Bandar-e Abbas in southern Iran. Today, an ever-increasing number of Afshars have settled down and became farmers. Living in the northeastern Azarbaijan province, Shahsevans (renamed II Sevan after the victory of Islamic Revolution) were organized by Shah Abbas I in the 17th century as a militia from tribes of diverse origin. 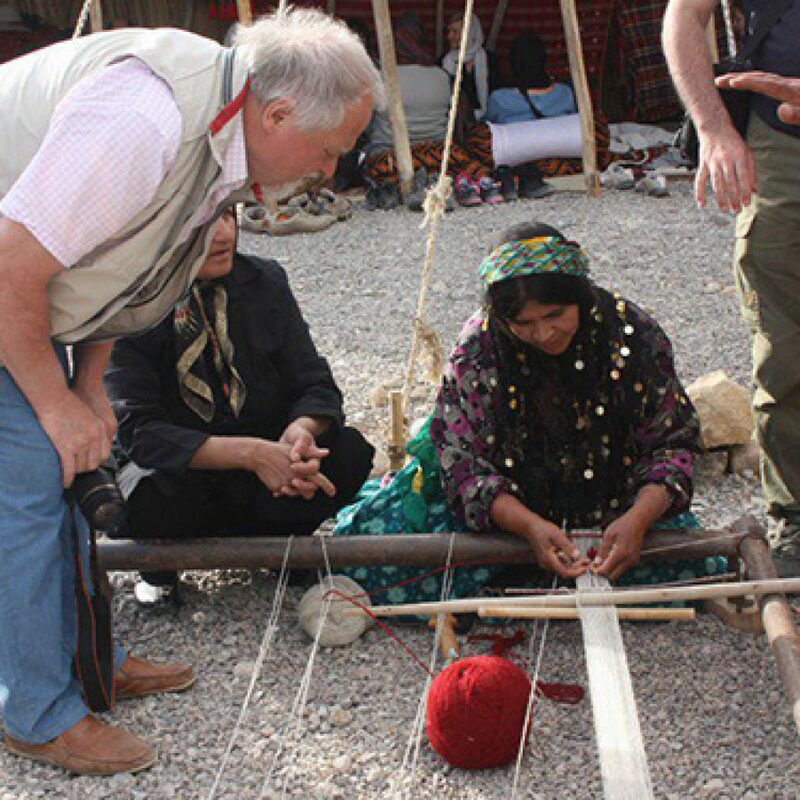 Mainly Turkish speaking, they were used to put down rebellions of other tribes. They were divided between Iranian Azarbaijan and the Russian or former Soviet Azarbaijan after the occupation of part of our country by the aggressive Russian forces during the Qajar Ka’ab. Tamim and Khamis are small population of Arab tribes, descendants of early emigrants, lives in eastern Khorassan near Bojnurd and in some places in Fars. They dwell in the high grounds of Zard Kuh Mountain (Zagros range to the west of Esfahan) extending to the south of Esfahan, and around Shahr-e Kurd, with winter quarters in Khuzestan, particularly the kinder plains around Dezful, Susa, and Ramhormoz. They are divided into two main groups, the Haft Lang and the Chahar Lang, subdivided in turn into several tribes and sub-tribes or tayefeh. 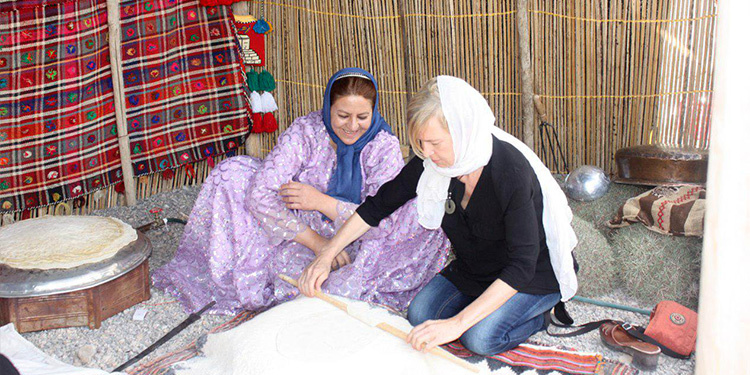 Most Bakhtiaris speak Persian or a Luri dialect, although part of the populations, concentrated in the towns and villages in the south of Khuzestan province, speak Arabic. Their clothing, with trousers extraordinarily wide, round hat and short tunic, is reminiscent of the Arsasid (Parthian) period, 200 BC-280 AD. 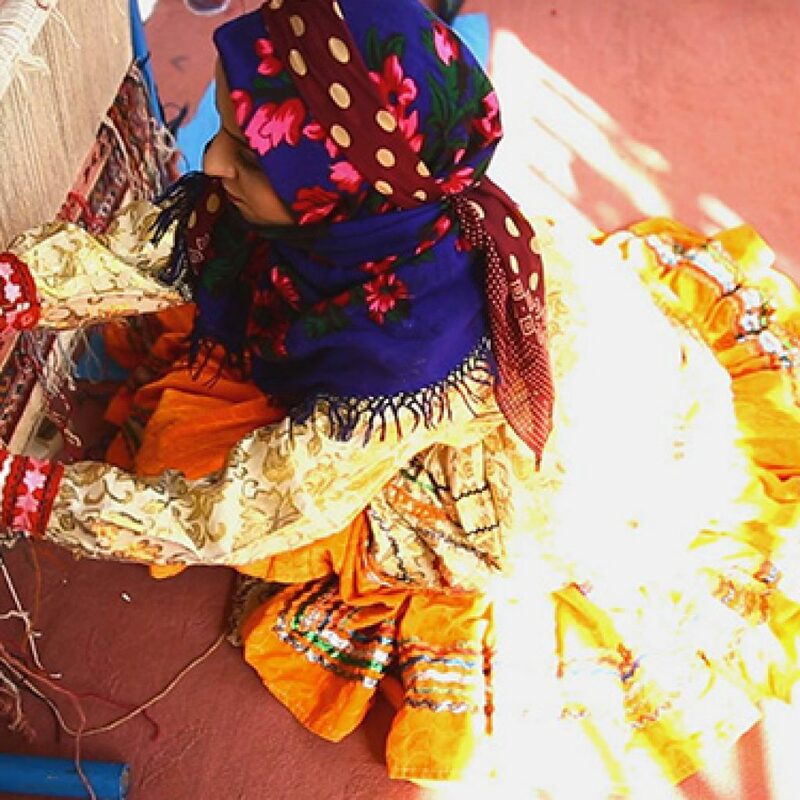 Originating in Khorassan, the northeastern province of Iran, they are scattered and live in the Mokran region far southeast of the country, a vast area from the Pakistan border to the Iranian deserts. Their language is pure Persian. 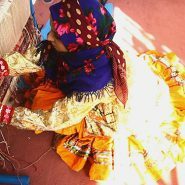 Nowaday mainly settled in urban centers such as Zahedan, the Baluch tribes consist of many different smaller tribes, making their living out of camel herding and agriculture. 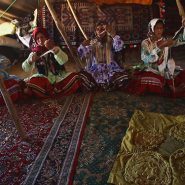 These tribes are among the most original tribes of Iran, speaking a pure Persian dialect and dwelling in the maritime provinces of Iran. Their number is dwindling, but one can still see the remnants of these stoic tribes in Talish. 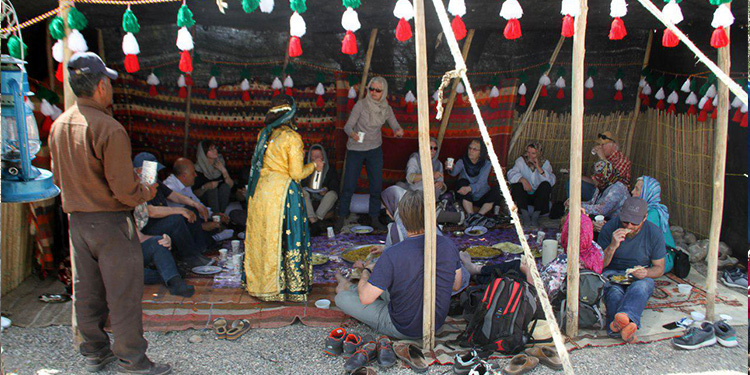 The Kurdish people of Iran occupy a vast area from the northernmost borderline of Azarbaijan to the hot plain of Khuzestan. 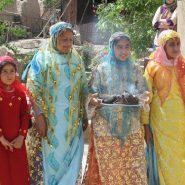 Descendants of the Indo-European tribes that arrived in Iran in the first millennium BC, they speak an Old Persian dialect and regard themselves as the descendants of the Medes. Kurds are to be found mainly in Iran, Iraq, and Turkey. They are probably the most intact tribes of Iran, retaining their robustness, virility, and tall stature. They are mostly cultivators and shepherds and occupy the high grounds of Lurestan, south of Kurdestan, and Kermanshah provinces. The Lursare thought to be a division of the ancient Kurds, both tribes being considered true descendants of the Medes. 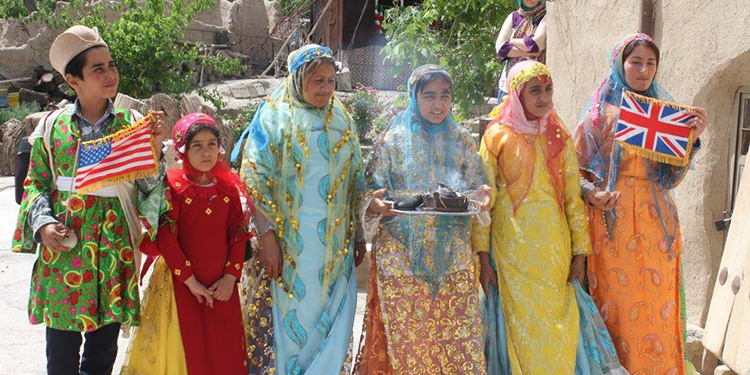 The Mamasani Lurs dwelling in western mountains of Fars form one of the most important clans. They descend from the Mongols who arrived in Iran very early on, in the 11th century AD, and are powerfully built, with high cheekbones and slanting eyes. 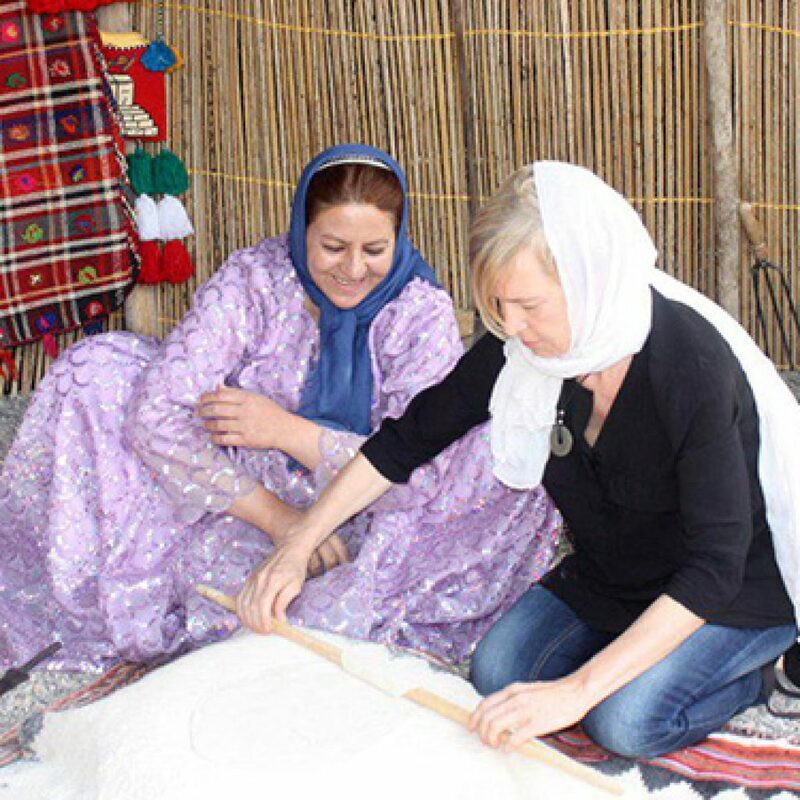 They live in the northeast of the country, north of Khorassan and east of Mazandaran. They dwell on the vast flat lands of Turkmensahra, which is situated between the Caspian Coast and the southern mountains. today, they constitute the most active agriculturists and fishermen of the region, and unlike the other ethnic groups, they are Sunni. These Turkish-speaking tribesmen representing a dominant ethno-linguistic The Lursare group, and historically the most important political leverage, dwell among the high mountains of Fars province. 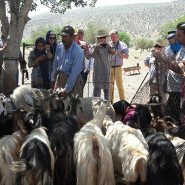 Traditionally, they wintered on pastures in the foothills of the Zagros to south and west of Shiraz, near the Persian Gulf, and moved north to the mountains in the spring. Their dress is almost the same as that of the Bakhtiaris, except for the hat, which resembles Napoleonic headgear.